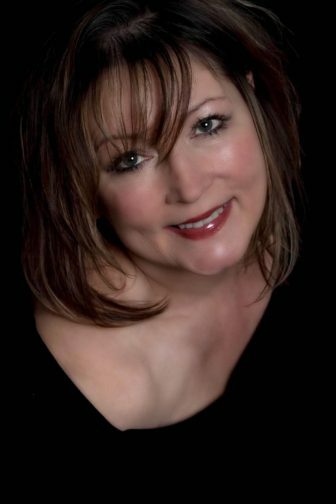 Patricia Mason-Martin, a Darien native and writer, has had two poems selected for publication in anthologies. Mason-Martin’s poem, “The Pulse of Life,” will be included in Poets to Come, an anthology celebrating Walt Whitman’s 200th birthday. The book will be released at the Walt Whitman Bicentennial Convention in Whitman’s birthplace — Melville, New York. The convention is a three-day event with poetry readings and workshops from May 31 to June 2. Mason-Martin’s poem “End of the World” will be published in a special spring 2019 edition of the online magazine Fired Up! Creative Expression for Challenging Times. A native of Darien and graduate of Darien High School, Mason-Martin relocated to Woodstock, New York, before her recent move to Torrington. The author of six books, a poet/performer, and freelance copywriter, she is also the creator and host of SpeakEasy, a monthly poetry and spoken word series held the first Sunday of every month in downtown Torrington. This edition of Fired Up! is being produced in collaboration with the international conference Climate Change & Consciousness: Our Legacy for the Earth, at the Findhorn Foundation in northern Scotland April 20 to 26. The conference focuses on surviving and thriving in a climate changing world and post-carbon economy, and brings together eminent scientists, wisdom keepers, business people, activists, artists, entrepreneurs, young people and other in a collaborative and participatory investigation into how we can steward a sustainable future on what has already become a radically changed planet Earth. Its presentations will be made available via video to local hubs across the globe, including the Berkshire hub co-convened by Rosa Zubizarreta and Jennifer Browdy. You can get more information about the Findhorn Climate Change and Consciousness conference and register to livestream the event here.